London. October 24 – Very cool. 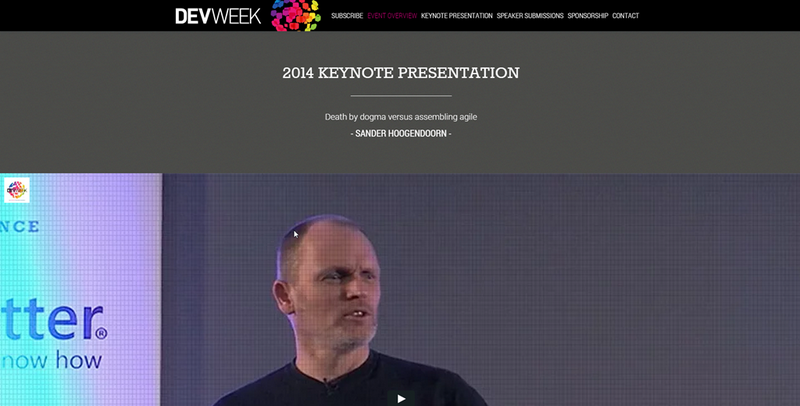 Both a picture of me on stage, and the video of last year’s keynote at DevWeek 2014 are featuring the brand new DevWeek 2015 website.